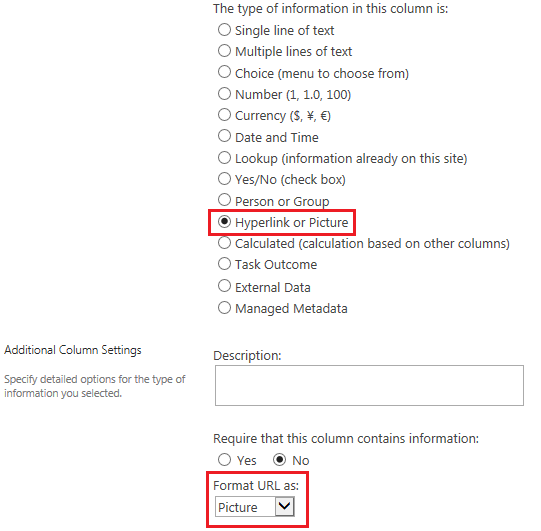 If you want to insert an image from SharePoint into a document, you should start by inserting a picture content control into a document template. Picture URL, using Image(PictureURL) function. Picture library. The Image(FileRef) tag should be used in image content placeholders, where FileRef is a document library's system field which represents the file URL. Lookup column, for example, Company :Logo , where Logo is a Hyperlink or Picture type column in Companies list, and Company is a lookup column to Companies list. Note: JungleDocs for Office 365 supports only images in the same site collection level.